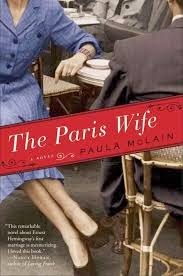 I struggled with The Paris Wife too. In fact I put it down after 1/4 of the book. I'm hoping to get back to reading it but I just cant seem to be interested. Hope you make it further than me. Oh no, hope you feel better very soon!! I can't wait for warmer weather too! Feel better!